Happy holidays, everyone! A quick update on our holiday schedule: we’re going to be closing at 3pm on Christmas Eve and closed all day on Christmas. We will also be closed on New Year’s Day to recover from all the riding we’re planning on doing the night before. Santa knows what we’re talking about. Right, Santa? 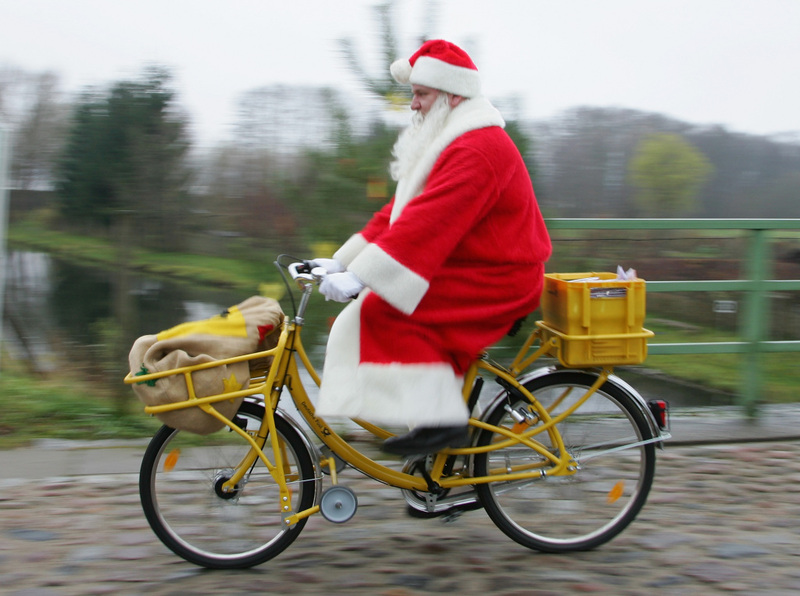 Clearly he’s too busy delivering presents on his awesome cargo bike to stop and chat.